Who know how many people have the keys to what’s now your home? It’s a small charge for a huge piece of mind. Don’t just re-key the locks either, replace the hardware too. 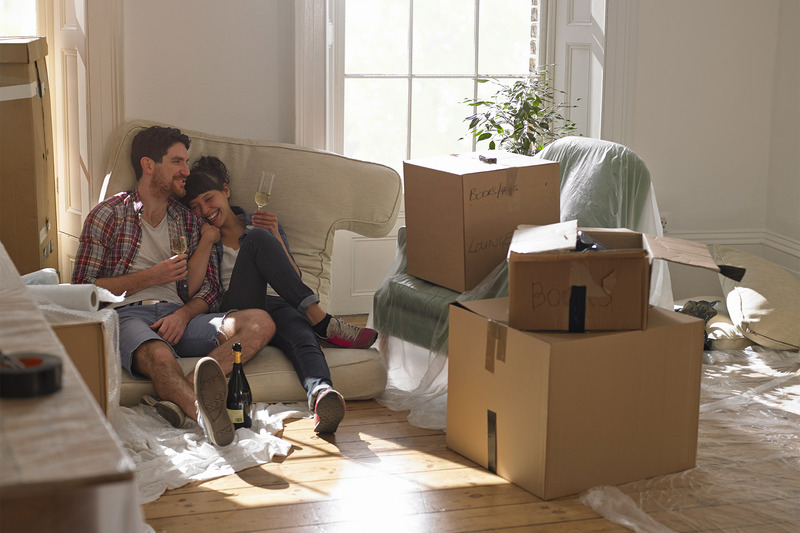 The first few months in a new home take some financial adjustment. Between moving costs, new furniture, renovations and utilities, you’re probably going to want to shave off a few dollar anywhere you can. Sealing off rooms you won’t be using for a while will lower your heating and cooling costs. Being friendly and outgoing from the get-go establishes good will. At the lease, being able to see a friendly face around town will help you acclimate. The sellers should have had a c leaner come when they moved out – sometimes its even in the contract. But unless specific cleaning tasks are noted, the house may not be up to your standards. Even fi the house looks tidy, they may have skipped the carpets. Not to gross you out too much but what we see is only a tiny fraction of the soil a carpet contains, the visible grime is only the tip of the iceberg with up to 85 percent of the dirt buried deep within the pile. And when you consider that a carpet can eventually trap its own weight or more in dirt, I think you’ll agree to whip out the vacuum. This is another often forgotten task and its definitely one you want to remember. All you have to do is grab a dryer sheet and wipe down shelves and drawers to collect any leftover dust or dirt. The U.S. Fire Administration recommends that fire alarm batteries are changed twice a year. It’s best to just change them when you move in so you don’t get woken up in the middle of the night by a blaring alarm.